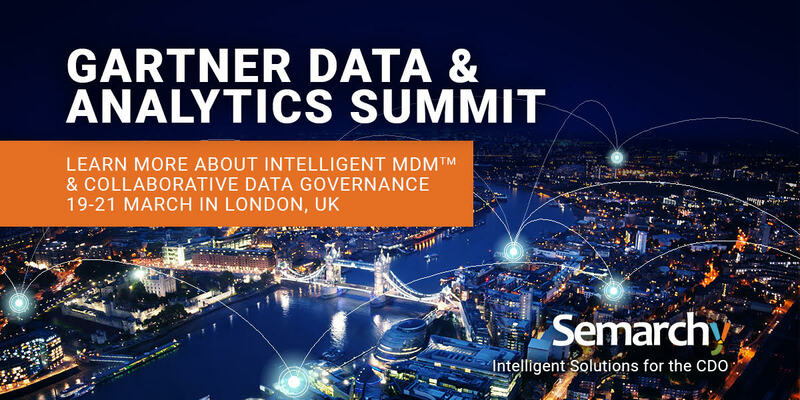 Semarchy was pleased to be Gartner Data & Analytics Summit EMEA Platinum Sponsor. As long-time alumni, we have featured our brightest clients, partners and subject matter experts, on hand to speak with attendees and analysts. This year, Thames Valley Housing was our esteemed guest, sharing their best practices and key learnings from their experience. Thames Valley Housing faced a challenge finding a home for data stranded across systems, spreadsheets, pdf files, scraps of paper and in people’s heads. You could learn how they constructed an intuitive data governance and operational master data framework–in weeks, with a small staff–that gives everyone in the business and the citizens they serve access to information that makes their lives easier. Tenants, properties, and housing need to master data that relates to compliance requirements, such as repair work and fire risk assessments. MTVH leverages xDM to offer a superior service to their citizenry. MDM is at the epicenter of business value creation from data. Always core to a solid Enterprise Information Management strategy, MDM and Data Governance have for too long been uncoupled, and thinned out by marketing. Both mega-vendors with their perfunctory offerings, loosely cobbled together via corporate acquisitions, and start-up solutions that have defined a subset or limited use case to address have underserved the market for far too long. Semarchy exists to be an all-in-one solution to address the most pressing data management issues today, in one organically scaled solution we call xDM. xDM can solve for the (x) of Customers, Products, Suppliers, Patients, Locations, IoT Things, etc. that need to be mastered and governed collaboratively and with tightly controlled lineage, audit and scalability.